At Borges International Group, we strive to achieve a balance between our activity and sustainability via our commitment to the environment. We recognize that every Organisation must carry out its activity in a sustainable way, integrating economic, social and environmental factors into its strategy and policy. Continuous updating of industrial equipment using new, more efficient and less polluting technologies. Better exploitation techniques in our purification plants, reducing the consumption of the chemicals used and obtaining waste water of better environmental quality. Performance of energy audits in all production centres. Continuous studies to favour recycling and reduction of weight of all containers. Annual continuous training in environmental protection. Environmental issues awareness training for workers. We are the first company to obtain certification of the calculation of our carbon footprint at all stages of production, straight from our own fields through to the end consumer. 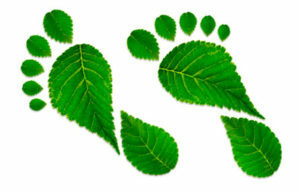 The carbon footprint is an environmental indicator that expresses the amount of greenhouse gas emissions (GHG) that are associated with the life cycle of a product, service or activity of a company and which contribute to global warming as a category of environmental impact. Quantify, reduce and neutralize our CO2 emissions in the interests of climate change mitigation. Offer products with reduced carbon generation in line with our sustainability policy. Identify cost-saving opportunities within our processes.